Our dinner has looked like this nearly every night for a week. 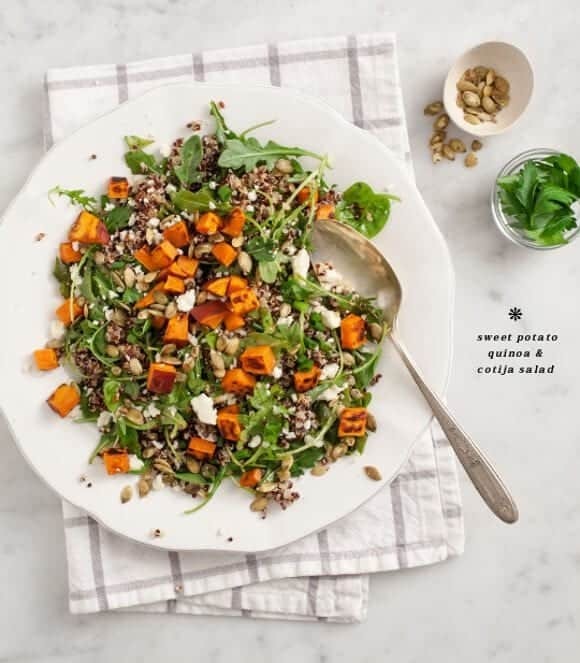 I don’t know what it is, but as soon as fall hits, big grain salads with roasted sweet potatoes seem to take over my life. They’re perfect for busy weeknights, next day lunches… and you can prep most of the ingredients ahead of time. 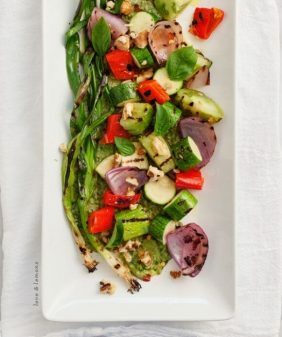 You can take this in so many different directions (this was last year’s obsession, and yes, it’s somewhat similar)… but I especially love this one with chile-lime dressing, mutli-colored quinoa and crunchy pepitas. 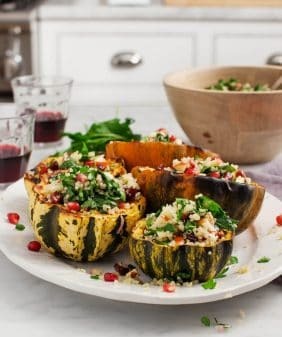 It could even be a fun non-traditional thanksgiving side dish if your family is spicy like that. Preheat oven to 350 degrees. Spread sweet potato cubes on a baking sheet and lightly drizzle with olive oil and a few pinches of salt. Place the poblano pepper (whole) on the same baking sheet. Roast for 20 minutes, or until the sweet potatoes are golden brown, and the pepper's skin has started to blacken in spots. Toast your pepitas in a little skillet with a pinch of salt and set aside. Remove the roasting sheet from the oven. When the poblano is cool to the touch, remove the ribbing and seeds and chop into ½ inch pieces. (or, optional: leave it in the oven until it's blistered so you can peel the skin before you chop it). Toss everything together with half the dressing. Taste and add more dressing and a few pinches of salt, if necessary. Garnish with toasted pepitas and cilantro. store leftovers in the fridge in an air tight container for up to 2 days. This looks so good! I love quinoa AND cojita cheese! I bet they pair wonderfully together! Definitely gonna pack this up for lunch! 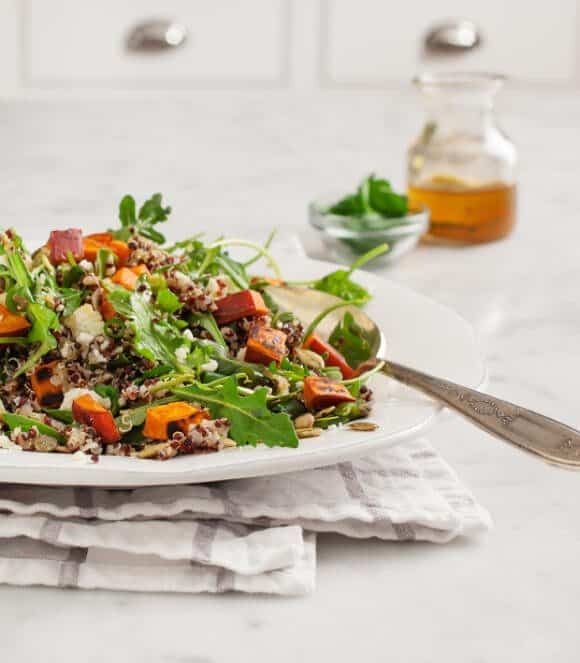 I’m always looking for new recipes with quinoa as my boyfriend is a coeliac so we use it a lot in our diet. This looks great, wonderful colours! Can’t wait to try it out! 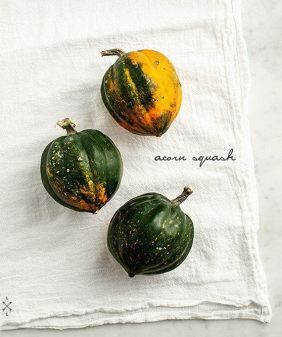 i had something very similar with roasted butternut squash – so easy and delicious. 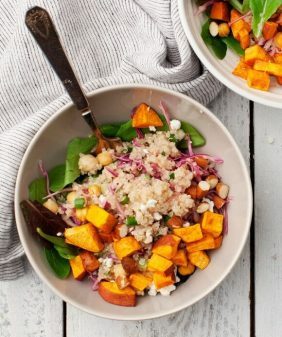 I am in love with sweet potatoes right now and this sounds perfect! This is just funny. I made something like this yesterday for lunch with a few additions/omissions. 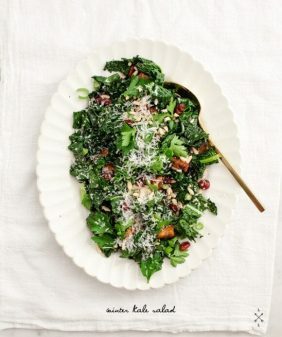 I think sweet potatoes, greens, & quinoa go beautifully together! This looks absolutely perfect in every way! 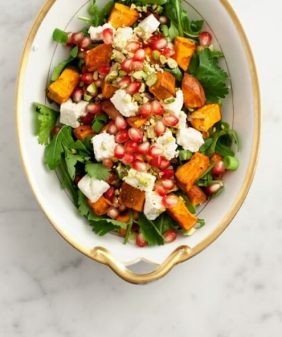 we have been eating a lot of grain salads with roasted sweet potatoes/winter squash as well. I can’t get enough!